2-Card Poker is a fast-action table game from American Gaming Systems that is found in many casinos. The name itself is a bit misleading since both the dealer and the player are dealt four cards, but there's already Four-Card Poker and Crazy 4 Poker, so 2-Card it is. Playing the game is really quite simple. 2-Card Poker is played with a standard deck of 52-cards. No jokers or wildcards are used. Players are required to make an ante wager before seeing any cards. Once the bet is placed the dealer will deal four cards to each player and themselves. Players are playing against the dealer to settle all ante and bet wagers. 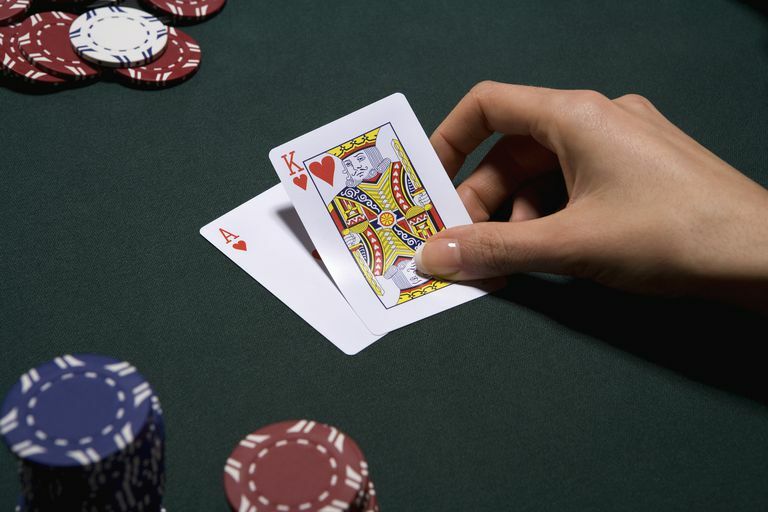 Once the bets are placed the players have the option of folding their four cards or choosing two cards to play and placing a bet equal to their original ante wager. All winning ante and bet wagers pay even money. In addition, the dealer must qualify with at least a Jack-High Flush to pay both the ante and bet, otherwise, the only payoff is on the ante wager. If that sounds a bit confusing, it's really not any different than Three-Card-Poker. And, like Three-Card-Poker, you can make additional wagers in the form of a 2-card bonus and a 4-card bonus. But first, you'll need to know what beats what in this game! Based on the hand table, the game could have been called Flushes rule, because most of the time the player and the dealer will be keeping either a pair or two cards that are suited from their original four cards. 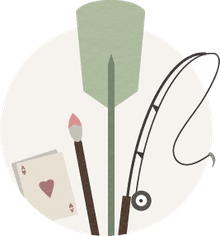 If the player is dealt a hand such as Ace-hearts, 8-spades, 4-clubs, 2-clubs, then the two cards to play are the 4 and 2 of clubs, because they are suited. The dealer will automatically save their top two cards in the same manner. When both the dealer and the player hold two-flush cards, the one with the highest single card wins. If both players have the same high card, the second card held will play. Ties are a push. Players may also make a bonus wager on their top two cards as well as on a combination of the player and the dealer's cards. Bonus wagers are paid regardless of whether the dealer qualifies and regardless of whether the player wins their ante and bet wagers. In other words, should the dealer fail to qualify, you can win the ante, push the bet, win the 2-Card Bonus and lose the 4-Card Bonus. When the dealer does qualify, you can lose the ante and bet but win the 2-Card Bonus and the 4-Card Bonus, or any other combination of those four bets. Although the main ante and bet wagers have the smallest house edge, the bonus wagers make the game pretty cool.